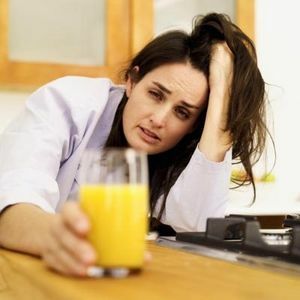 Nux vomica is the number one recommended and most effective homeopathic remedy for a hangover. It is best for the symptoms of headache, light/odor/noise sensitivity, nausea and vomiting. It may also be used following over-indulgence of food. Carbo vegetabilis is the second most recommended remedy for hangovers. This is the choice for symptoms like apathy, debility or collapse and difficulty in breathing or gasping for air. Lycopodium may be used if the hangover has produced a ravenous appetite. Eating eggs (for the cysteine) and bananas (for the lost potassium) and drinking vegetable or fruit juices (for the natural sugars and vitamins) will speed recovery. *These statements have not been evaluated by the Food and Drug Administration. These products are not intended to diagnose, treat, cure or prevent disease. Seek professional help if a condition worsens or lasts more than 7 days.